I’m not starting our own second chance by braving uncharted territory. I haven’t really given things a second chance recently. At least not things I would want to recommend on my first time out in over a month. So instead I’ll focus on something that is all about second chances. 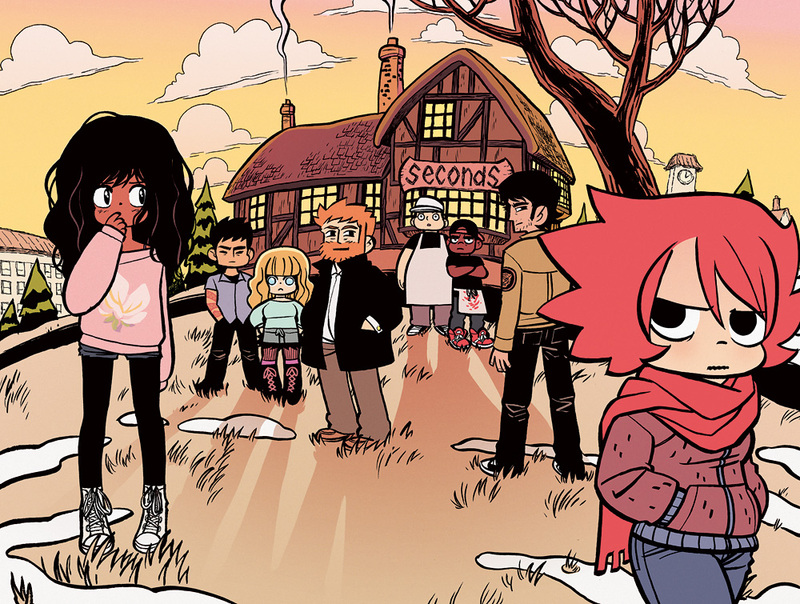 From its plot, to the fact that it’s Bryan Lee O’Malley’s first work since the Scott Pilgrim series. Seconds, it even as an appropriate name for this week’s theme, is a graphic novel I fully intend to go back and read again. Just because this is by the same person who made Scott Pilgrim, don’t expect it to be too similar. There are certainly small similarities, but it’s a very different story. It tells the story of Katie, a restaurant owner who gains the ability to rewrite her past. Hijinks ensue, because of course it’s never that easy. I’m very glad that O’Malley chose to diverge from Scott Pilgrim, it shows how talented he really is as a writer and creator. He’s created two wonderful stories, with different tones and themes. This is Katie. She obviously has her life together. The book has a lot of various themes. It deals with the idea that a perfect life isn’t necessarily what you think it is, that what you want and what is best for you aren’t always the same thing. Moreover it deals with the idea of what you have to give up to get that “perfect” life. Probably the most important part of all of it is, that there really is no perfect life. There’s always something that could be better, and trying to fix it could mean losing some of the good things you already have. 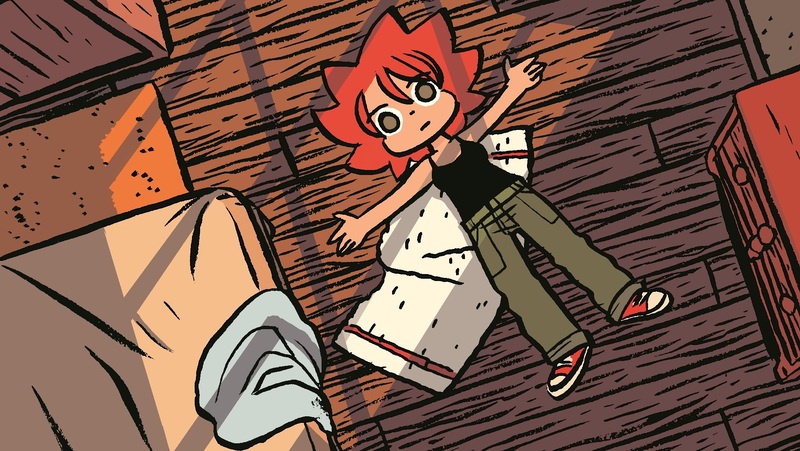 The art style, unsurprisingly, is the same as Scott Pilgrim. It’ fun and energetic, and surprisingly detailed. Backgrounds of a full restaurant are packed with people, of various appearances. Little details in panels foreshadow events to come. The colors add a nice homey feeling to Seconds, the restaurant and the book named after it. The colors are magnificently subtle in how they make you feel about places, you don’t even realize it until the end of the story when the point is laid bare. It’s hard to talk about how great this story is without spoiling a lot about the story. 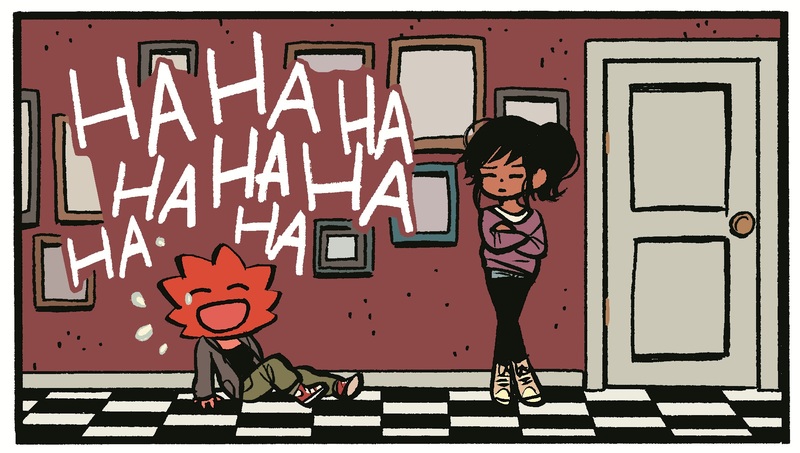 Seconds is worth a check out if you’re looking for a fun supernatural thriller story. If you like strong female characters it’s also a good read. Whether or not you check it out, I’ll soon be going back for Seconds. Sorry, I couldn’t resist that pun.